Midwest is facing drought conditions almost on the scale of July 1934 dust bowl conditions. July 1934 worst drought in history for U.S.A.
2012 Drought conditions at 64% of the July 1934 drought conditions and could get worse. “Unrelenting heat and lack of rain continued the downward spiral of drought conditions” in the Great Plains and Midwest this week. Rainfall has been below average this year from California to New England, with the Midwest Corn Belt among the hardest-hit areas, the climate center reports. The U.S. Department of Agriculture earlier this week said that 38% of the nation’s corn crop was in poor to very poor condition, compared to 30% a week ago. 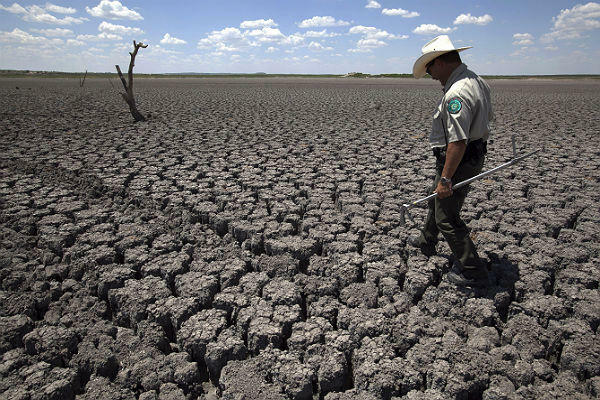 Additionally, 54% of the nation’s pastures and range lands were in poor to very poor condition, the USDA reported, the highest since at least 1995. “The crops are in the ground; we’re living rain to rain. We knew we had a dry late part of winter. We had a warm spring. 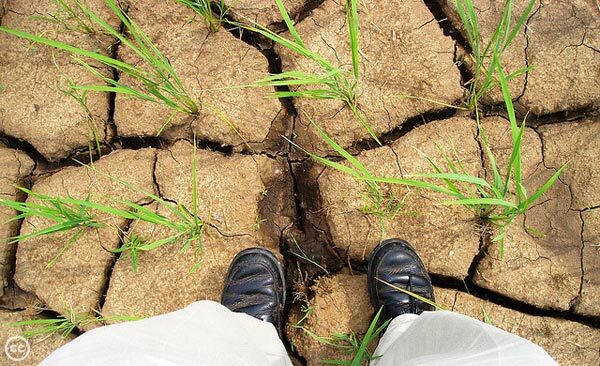 Our soil moisture is depleted.” In the southwestern and central swath of the Corn Belt, the combination of too much heat and too little rain into the middle of August will prove to be too much for corn to take. Demand is approaching record levels in some areas, forcing voluntary and mandatory usage restrictions as utilities strain to pump enough water while reservoirs and other sources shrink. Start saving Rain Water DoowansGardenSupply.com has Large and Small Rain Barrels in stock. 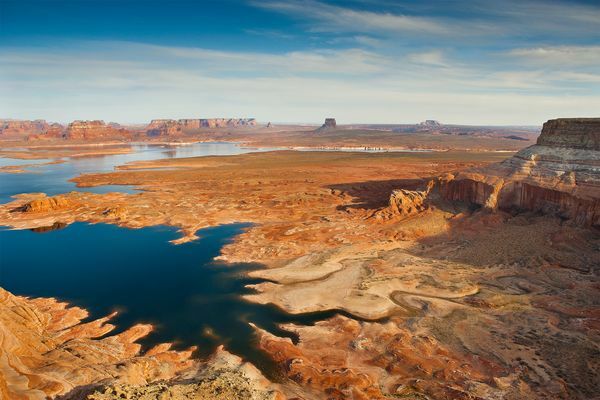 The level of Lake Powell is amazingly low. Rainwater collection is a simple act of respect and honor. When it does rain treat it as the precious gift from above that it is. Even a 5 gallon bucket placed under a downspout will yield some benefit. How about a bucket at every downspout? Once you realize how easy this is you may ask yourself why didn’t I start this long ago? You will be amazed at the response of your houseplants and garden to rainwater. Take this opportunity to view Rain Barrels at DoowansGardenSypply.com and start your conservation effort today.